Rest assured that when you buy through McKissock, you are guaranteed the best appraisal education available. 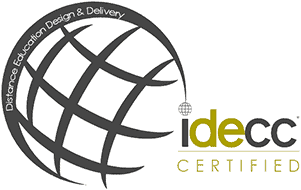 The International Distance Education Certification Center (IDECC®) is an internationally recognized certification that validates the design and delivery of distance education courses. The Foundation also ensures that the profession adapts to changing circumstances and continues to move forward through the work of its three independent boards: the Appraisal Practices Board (APB), Appraiser Qualifications Board (AQB), and the Appraisal Standards Board (ASB). IDECC® is a program of the Association of Real Estate License Law Officials (ARELLO®). In 2000, ARELLO® approved the formation of IDECC® to extend the scope of its involvement in distance education. The ARELLO® Board of Directors then assigned their Education Certification Committee to administer distance education programs ARELLO would be involved with. This committee is made up of regulatory and educational specialists from across the U.S. and Canada. The Education Certification Committee maintains and oversees a group of highly qualified consultants to manage and direct the programs that are in place within IDECC®. The Education Certification Committee maintains authority in forging IDECC® policy while ultimately reporting to and falling under the authority of the ARELLO Board of Directors. Stay up-to-date and grow your skills. Subscribe to the appraisal blog.